My MPCNC showed some significant flex on the four main feet. I wanted to solve this quickly with small amounts of material and without additional hardware, except screws. 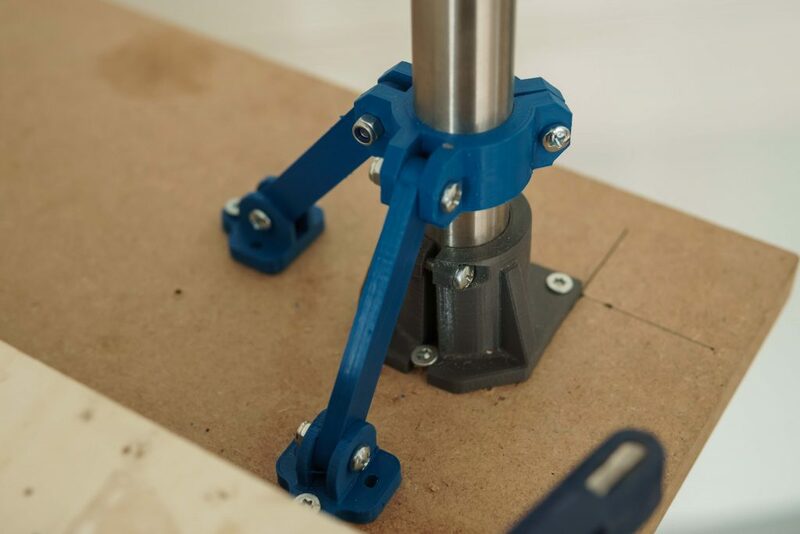 Bring the two feet in place, screw them down and the clamp will bring up the tension on the struts. 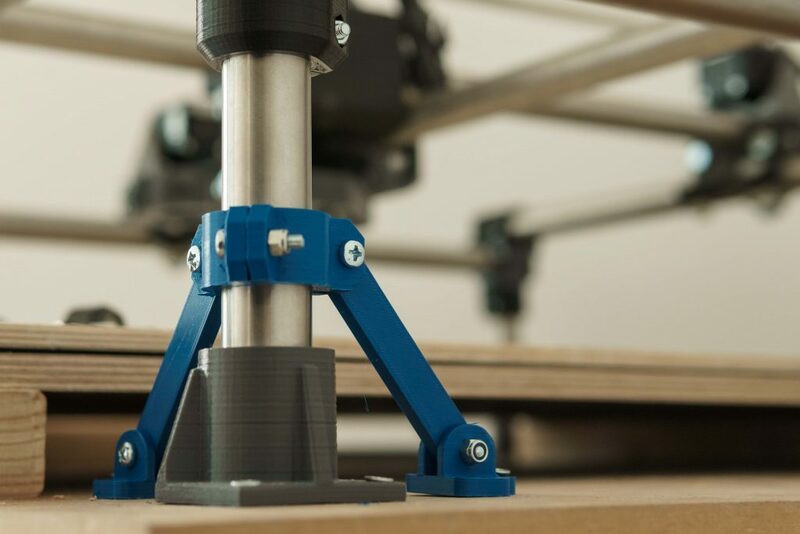 Dieser Eintrag wurde veröffentlicht in 3D Printing, Allgemein, MPCNC und verschlagwortet mit 3D printed, add on, CNC millin, home built CNC, MPCNC, rigid von bklronin. Permanenter Link zum Eintrag.